Aadhaar card was made mandatory by the government. It’s not a citizenship but it’s an identity of a person. It can be used as a proof wherever required. If you didn’t get your Aadhaar card yet then don’t worry as you can download it from internet. 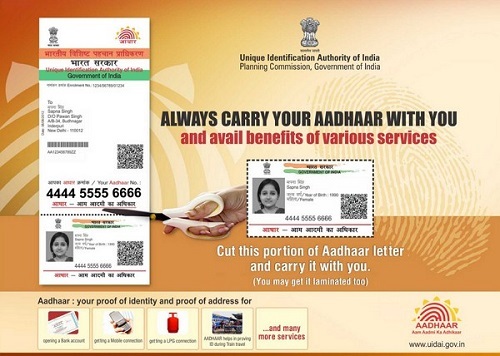 Government have provided a website through which you can download your aadhaar card. You can go to UIDAI portal and download it. It’s an electronic format which can be used till you get the original format. Aadhaar card was to be delivered through posts but lakhs of people have not yet got their aadhaar card. You have submitted all the proof and verified the document then it will be delivered within 5 days through posts but luckily I got it. Some people are unlucky as they didn’t got yet. They can download it from the website. Related Article: – How to file and FIR? Type your name which you have used while enrolling. Type 14 digit enrollment number provided when you verified the document and also date and time if asked. Type pin code of your area. When you type mobile number it sends you a one-time password (OTP) so don’t provide wrong numbers. After typing OTP which you received on mobile. After clicking ok one link will come in which it will ask to download e-aadhaar card. It will be downloaded as a pdf. When you open it will ask for password so type pin number as password to open. So save the document and get it print and take it wherever you want but keep it safe. Note: Don’t use these at cyber café or any other public place as your details are confidential and it can be misused by anyone. So I think this was helpful to you. If you have any problem regarding it then write in commenting section below I will try my best to reply you as early as possible and solve your problem.